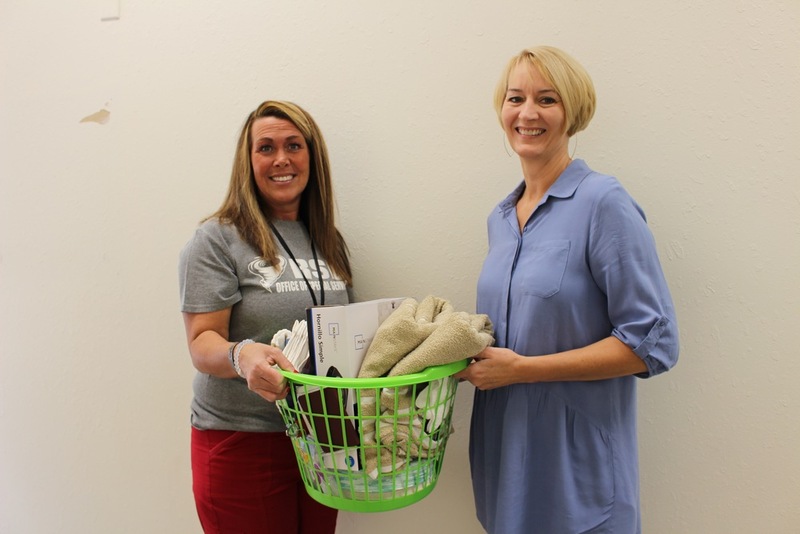 The Russellville School District Homeless Assistance Program received 19 laundry baskets containing items for homeless families that live in hotels. Items such as hot plates, pots and pans, can openers, towels, and cleaning supplies were donated by the Victory Baptist Church who reached out this summer to RSD Homeless Liaison Skye Thompson looking for a community service project that their Sunday School Class could do. The RSD Homeless Assistance program provides support with home relocation assistance, aid in the application process for public assistance programs, provision of school and hygiene supplies for families in need, and helping families and students in accessing health related services. For additional information about this program or to find out ways you can help, please contact Skye Thompson at 479-890-5733.